85 F a bit hazy, beautiful! This is a view from Dickinson Rd, these mid-summer almost jungle-like proliferation of foliage is an aspect of our landscape, I could loose my self in it! So this was the third time I forgot my camera in a week! I had to figure it out, since I just changed cell phone company's, bla, bla, bla! 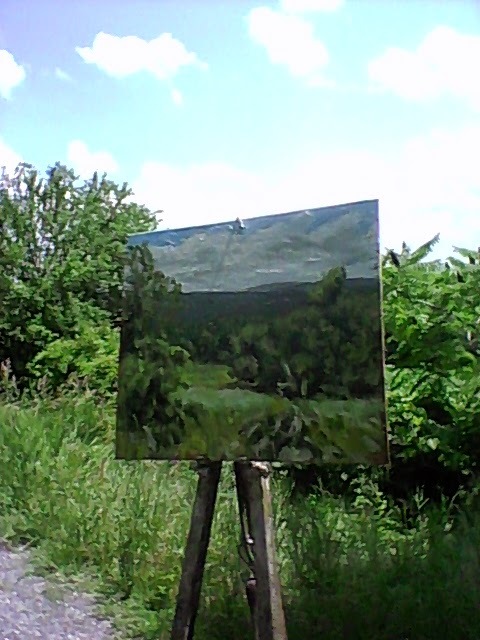 Here is the first three tones, it was hard to see y canvas, the light in the field was so bright! 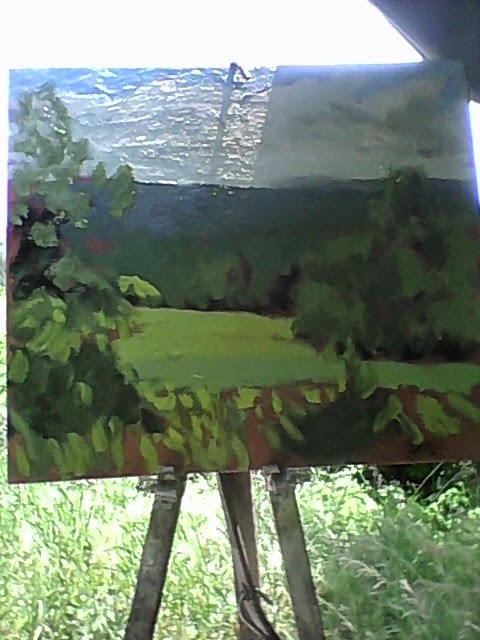 I chose this scene because it has all the elements I wanted today, the hedge row, right in front, the corn field that sweeps back around and up to mid range foliage, distant hills, and way distant hills. Here is the "money shot" even if it's just a silly toy camera! 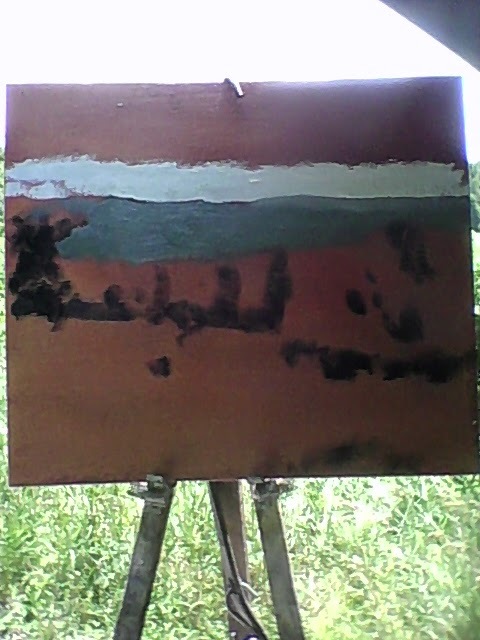 Here is my scene, this road has lots of beautiful scenery, and it's dirt, a couple of cars and a tractor or two came by, but that's it! 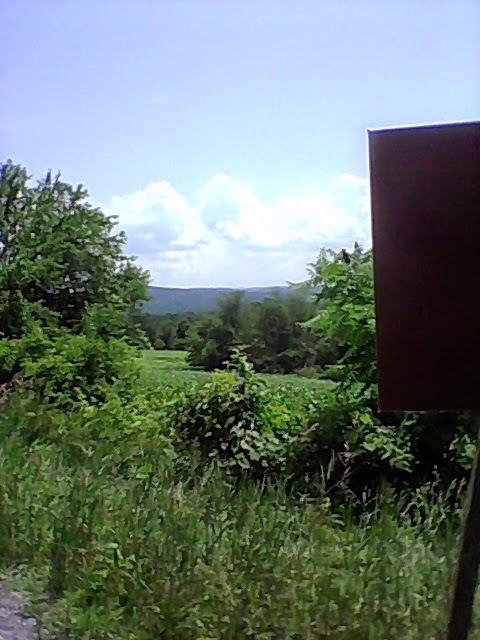 and seeing the rolling hills in front and the mountains in the distance is just awesome! Well done. I like this luxuriant vegetation as well. Thanks Chani!, when the world (or our corner of it) gets like this, all overgrown, I have to paint it!